"Today, Ashisha should have been planning which stream to take after passing her 10th board exams. Instead, she is bedridden, struggling to get up or even eat. Her body is swollen. Her eyes are getting yellower every day. We are scared. We don't want to lose her." Ashisha's life is in danger due to rare side-effects from a local medicine that her mother bought in hope of helping her study well. 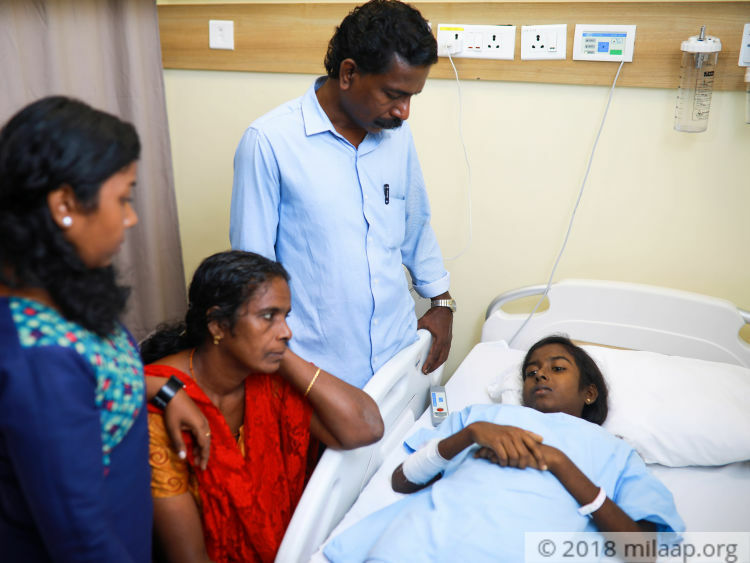 But this 15-year-old's liver is failing rapidly now and she will not survive without a liver transplant. Her family is without any help to save her. Even now, when she gains some energy to speak, all she does is lament about how she could not write her exams. But at this point, all we care about is saving her life. We are lower-middle class people who are never prepared for such emergencies. But we want to save her at any cost”-Anila, Ashisha’s elder sister. 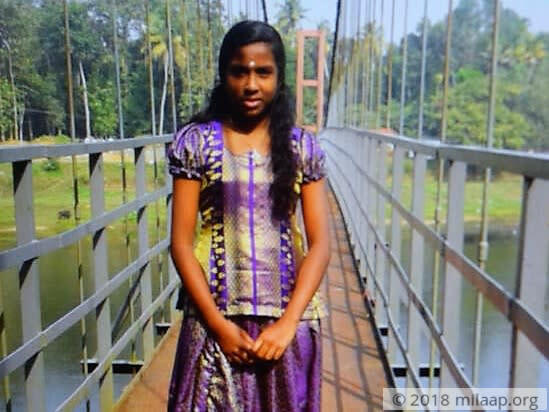 15-year-old Ashisha’s father Kumaran and mother Thangamma are simpletons who don’t even have a high-school diploma; the former is a daily wage labourer while the latter used to work in a cover factory before Ashisha got really sick. All they wanted was Ashisha to soar heights like her sister who was a nurse. 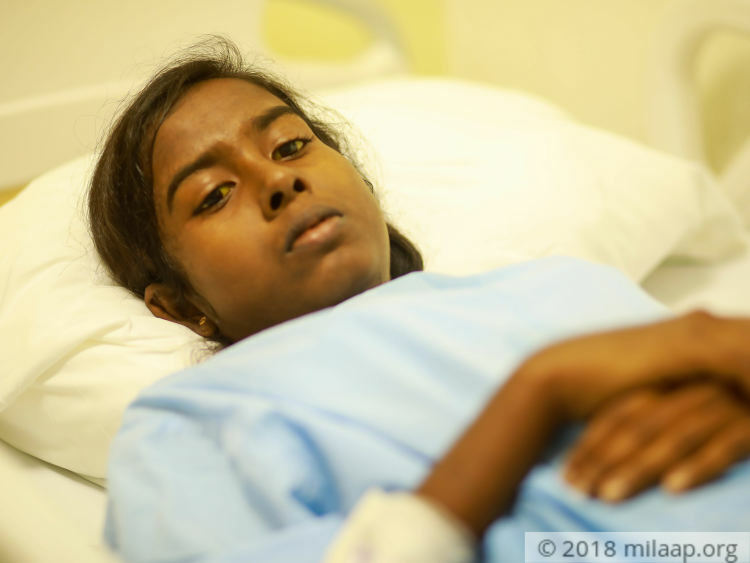 Everything was seemingly going well for Ashisha until one day last October, she started shivering with fever. Her whole body was burning and worse – she also got rashes all over her body that caused severe itching. This poor 15-year-old had become so weak that she refused to eat anything. Her skin had starting acquiring a yellow tinge. Tests done at different hospitals revealed that she had elevated bilirubin levels, but doctors couldn’t understand what exactly her condition was. She was even admitted to a local hospital for 14 days because she was getting weaker and weaker. 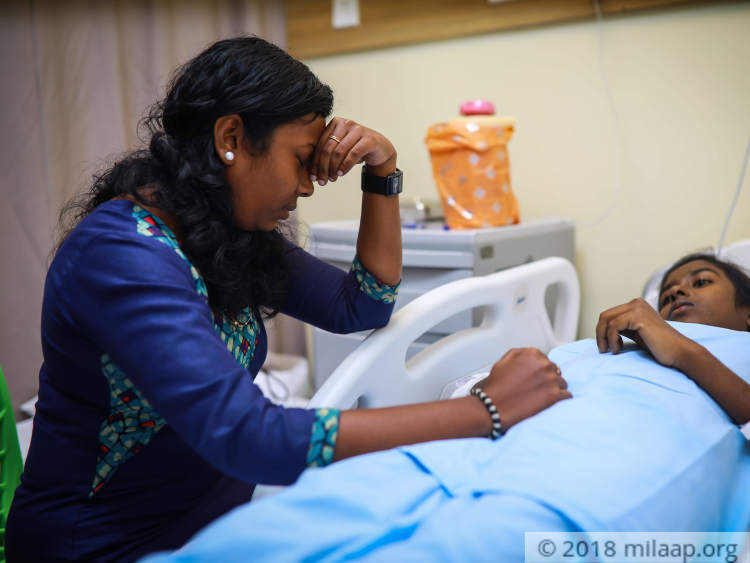 Anila has lost her job as a nurse in a local hospital in Kolenchery because she was on leave often due to her sister’s illness. Now, she has come forward to donate a portion of her liver. Ashisha’s mother Thangamma blames herself for what happened to Ashisha. She prays to God to save her daughter's life and take her life instead. Ashisha will only survive with a liver transplant. Time is running out for this 15-year-old and all she can do is painfully watch her family struggle to save her life. 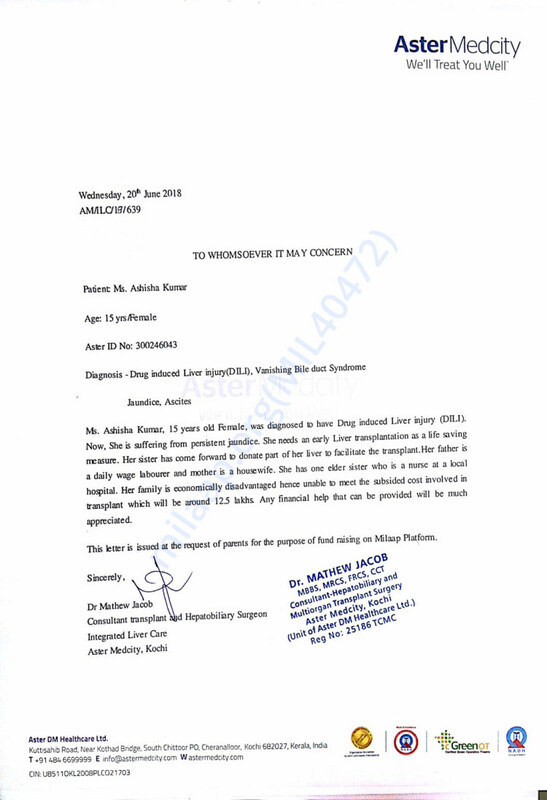 Immediate support will save Ashisha's life. Currently Ashisha is at home and is recovering. 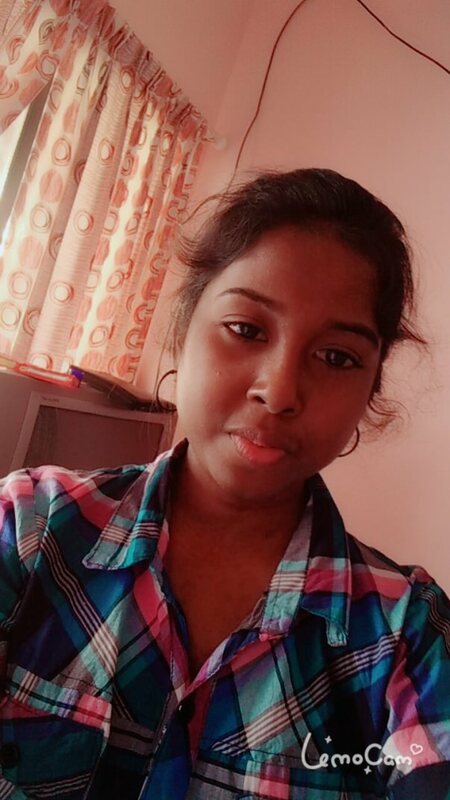 Here's a recent photo of Ashisha. Here's a quick update on Ashisha. She is recovering slowly and is doing well. Currently she is admitted in the hospital for abdominal pain. Thank you once again for your love and support. We shall keep you posted. 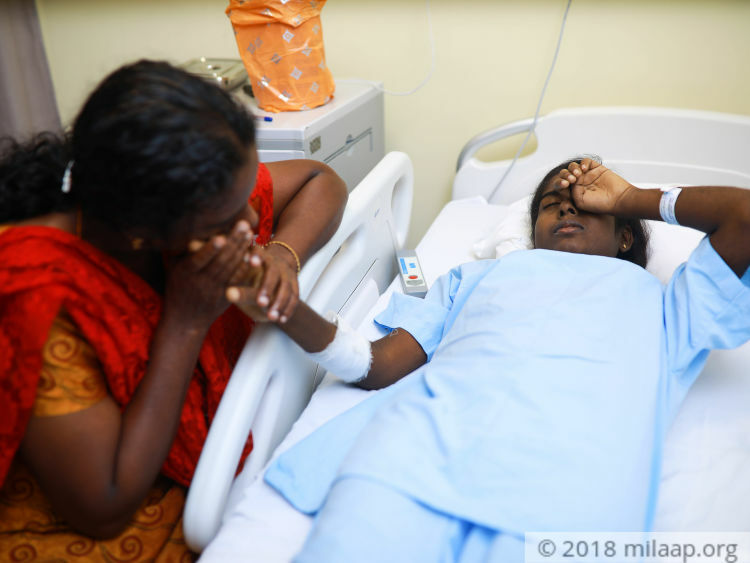 Ashisha underwent a successful transplant and she was discharged from the hospital. She was doing well at the time of discharge and she will be be following up with the doctors from time to time. This couldn't have been possible without the support of you all, thank you so much for the love you have shown towards Ashisha.